According to the Asthma and Allergy Foundation of America, up to 30 percent of allergy sufferers are allergic to cats and dogs and a great many beliefs surround Himalayan cats and allergies. As Himalayans are longhaired, some people think they will be somehow less predisposed to cause allergy. Others think Himalayans shed so much hair they'll cause greater allergic response. It's important to understand what causes allergic response to cats and what's likely to happen if you introduce a Himalayan to a household where someone has cat allergy. The features of Himalayans that cause allergy are the dander (dried skin flakes), urine and saliva in the coat--just the same as in any other cat breed--as the irritant is a protein in these particles and excretions. The amount of coat shedding in the breed is only a factor since along with shedding comes the spread of more dander and saliva into the environment. Tiny particles of allergenic protein will also be airborne in Himalayan-owning homes, and these can settle deep inside human lungs. Common symptoms of human allergic response to Himalayans are runny eyes and noses; sneezing; hayfever symptoms; wheezing and difficulty breathing; allergic asthma; and weals and "hives" or itchy rashes wherever you have come into physical contact with the Himalayan. Symptoms may take as long as 48 hours to show. You may benefit from seeing your doctor for a thorough allergy test to eliminate other causes. Medications for allergic response caused by Himalayans don't differ from treatments for other cat allergies. Usually you'd take anti-histamines--following doctor's guidelines--while in contact with cat dander and allergens. Tablets and nasal sprays are available over-the-counter. If you're a diagnosed asthmatic, ensure your inhaler's kept at hand; you may need it more often when the Himalayan is around. Decongestants and hypo-allergenic shots may help; ask your doctor. The Himalayan-owning household must be kept fastidiously clean. Get rid of wall-to-wall carpets; you'll never eliminate all the Himalayan's dander from carpets. Steam clean flooring, beds and soft fabrics. Use HEPA-filtered vacuum cleaners and HEPA air purifiers to strip airborne allergens from the air you're breathing. Take every step to keep dust levels down. Although he won't appreciate it, most Himalayans accept bathing if it's done from an early age. Buy pet shampoo from a veterinarian and bathe your Himalayan monthly; more frequently may damage his coat and skin. Bathing will encourage less shedding. Groom him outside when he's damp or dry. Frequent grooming keeps allergens down as it also encourages less shedding. 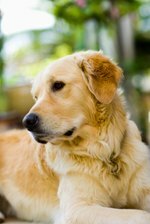 Regularly treat against fleas; he'll lick his coat, spreading more protein, if he's itchy.